(SL) -According to the CDC, One in two gay and bisexual black men in the US will be diagnosed with HIV in their lifetime. In contrast, one in four gay and bisexual Hispanic men will be diagnosed – and one in 11 gay and bisexual white men. Comparatively, the overall odds of an average American developing HIV is just one in 99. 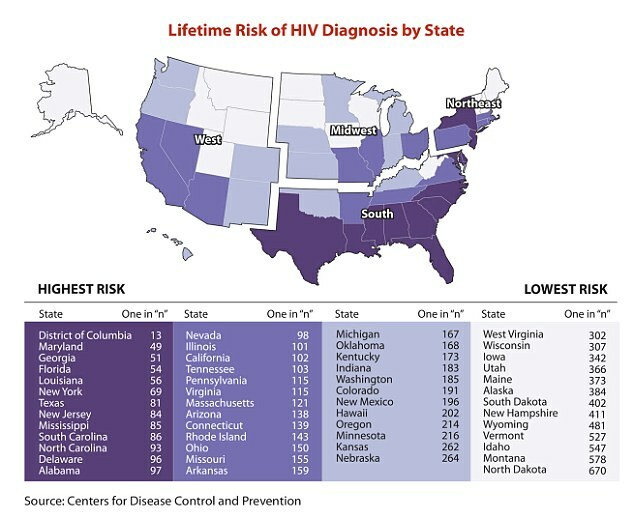 The Centers Of Disease Control And Prevention reports a number of factors may contribute to the higher risk of HIV associated with gay and bisexual black men. Blacks are more likely than men of some other races/ethnicities to experience socioeconomic factors that place them at higher risk for HIV infection. Those factors include limited access to and use of quality health care, lower income and educational levels, and higher rates of unemployment and incarceration. That factors may help explain why blacks have not made greater gains on the HIV continuum of care. Black gay and bisexual men are a small subset of all gay and bisexual men, and their partners tend to be of the same race. Because of the small population size and the higher prevalence of HIV in that population relative to other races/ethnicities, black gay and bisexual men are at greater risk of being exposed to HIV within their sexual networks. Having sexual relationships with older men, who are more likely to have HIV, may increase risk for exposure amongsome young black gay and bisexual men. Though black gay and bisexual men report higher HIV testing in the past year than Hispanic/Latino or white gay and bisexual men, they are also more likely to be HIV-positive and not know it because of the higher prevalence of HIV in the population. People who do not know they have HIV cannot take advantage of HIV care and treatment and may unknowingly pass HIV to others.